Reynelda just released her 5 Favorite Things list for 2018. Each item is found on Amazon! Why? Because she knows accessibility is important! So we’ve rounded some of Reynelda’s favorite items to give to friends, family and yourself. She regularly promotes self-care to her clientele and she wants to offer it to you! This titillating beverage can be used as a coffee substitute without losing the aroma and taste of coffee. 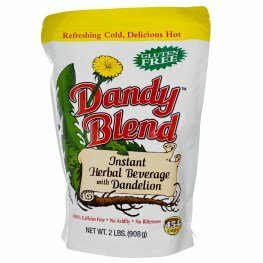 Dandy Blend is natural, caffeine free and best of all…there are no withdrawals symptoms or headaches when not consuming this beverage! 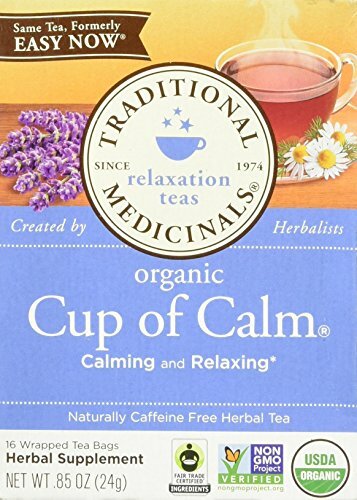 I enjoy drinking a Cup of Calm at the end of a hard day’s work. This tea has a delightful flavor of floral with slight mint. It provides a “true” calming affect. In addition, the Non-GMO verified logo and the organic with Fair Trade Ingredients logo, reminds me that I am addressing my health and giving back simultaneously . This is a video and book I suggest to my clients to explore the importance of verbal communication towards themselves. As my followers may recall from a previous speaking engagement, the words we choose can empower us or discourage us. Check out The Secret to learn ways to improve self-communication. If you are looking for creative ways to incorporate veggies into your life then this is the book for you. I rarely have my book because both, my friends and family, borrow it regularly to cook flavorful recipes from Thug Kitchen! Plus this book is hilarious and humor is a great stress reliever. Did you know following origami patterns can be used as a mindfulness technique? I am so appreciative of my friend who introduced me to the Origami Paper Mega Pack. I loved it so much, I introduced some of my clients to patterns to reduce their anxiety. This mega pack has more than 400 sheets of origami paper, plus folding instructions. Disclosure: A Solution B is affiliated with Amazon. Therefore, any item purchased utilizing the links associated with this website 4%-7% of your purchase will be provided to A Solution B’s scholarship fund to provide counseling to individuals and families experiencing financial hardships. Your purchase is greatly appreciated.